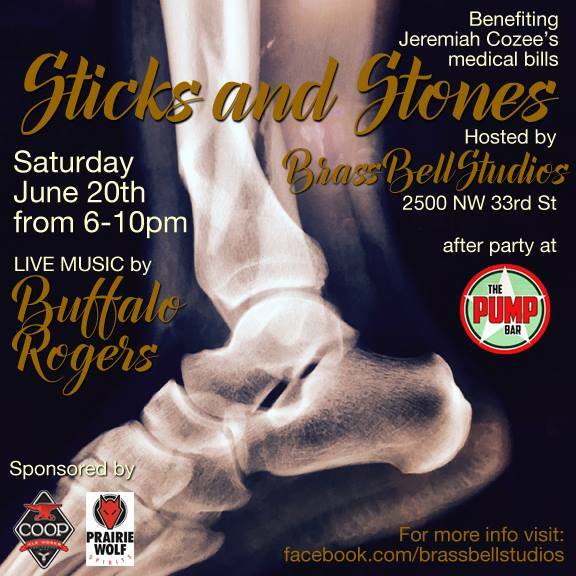 Brass Bell Studios is hosting a group art show this Saturday June 20th called "sticks and stones" which is also a fundraiser. It has a bone-related theme in honor of the benefactor. Here is the event link on Facebook for additional information. Jerimiah Cozee also has a gofundme account for additional donations.